March 22, 2016 March 12, 2016 / Elizabeth T.
Can you all believe how fast the month is flying by? 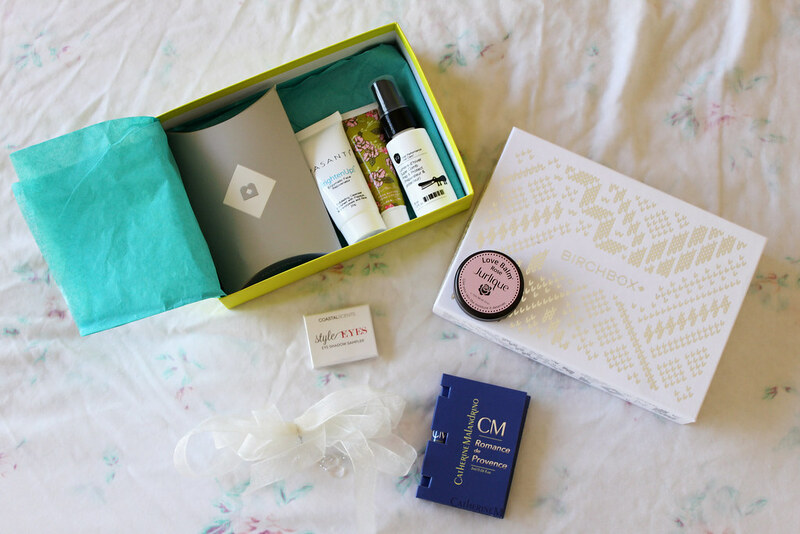 I’m back again with another beauty post, and this time, I wanted to share with you all my Birchbox subscription, which was gifted to me from Vicky of Vicky’s Scrapbook for my birthday 🙂 Thank you so much Vicky! I’ve already received all of my boxes (a total of 3 gift boxes), but instead of bombarding you all with so many products all at once, I wanted to just share with you my very first box of personalized samples! (But in actuality, I’ve just been bad and haven’t gotten around to writing this post when I should’ve done it a long time ago. I mean, come on, January?! It’s March already… I’m sorry hehehe *scratches back of neck in embarrassment*). First up is the Romance de Provence fragrance from Catherine Malandrino. 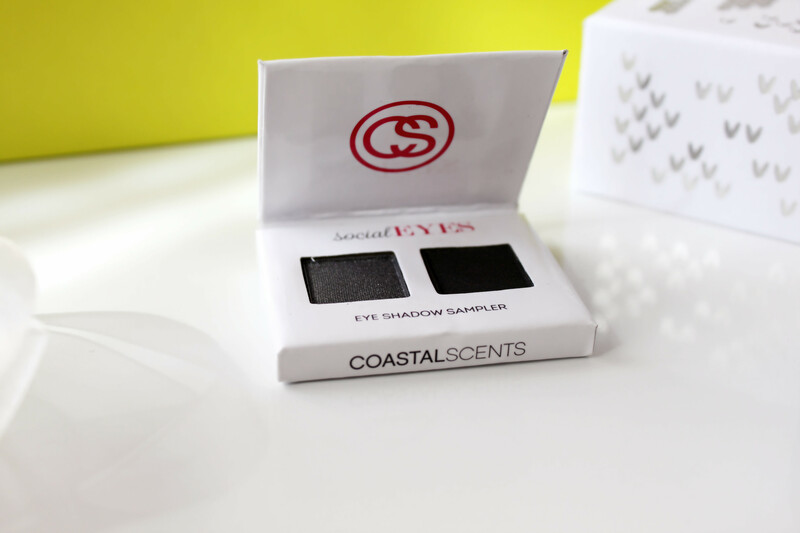 With notes of pear and black current, as well as a blend of jasmine, rose, violet, and vanilla, the fragrance sounds like it’ll definitely be very bold! Another product that I’m so excited to try is the Super Comb Prep & Protect from Number 4, which is a sulfate-free, botanical-rich leave-in conditioner. 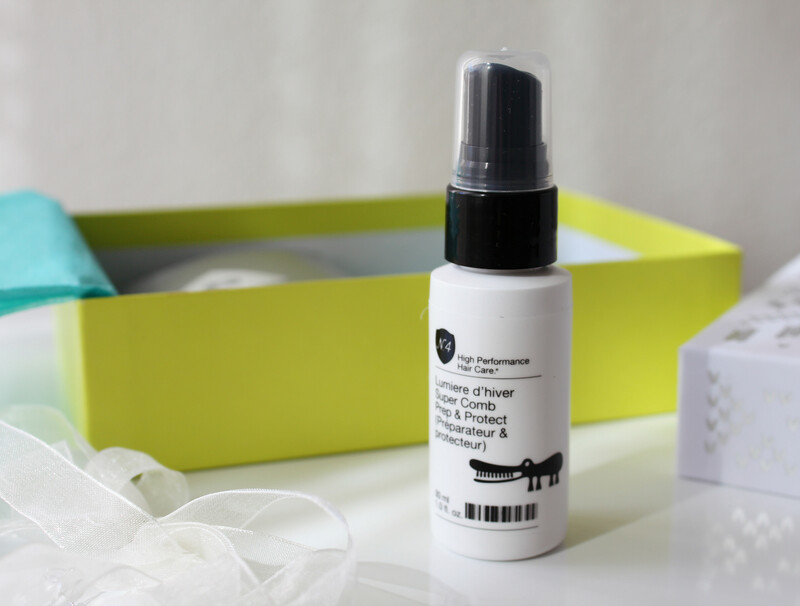 It boasts the ability to safeguard color, as well as strengthen and nourish hair. As my locks get longer and longer, I try to protect it as much as possible because the ends will surely be more susceptible to damage, so I’m definitely very excited to try this! Aside from my love for hair protecting products, I’m also a big hand cream fanatic, so I was super excited to receive this Green Tea Shea Butter Hand Cream from Soap & Paper Factory. A girl can never have too many hand creams, right? 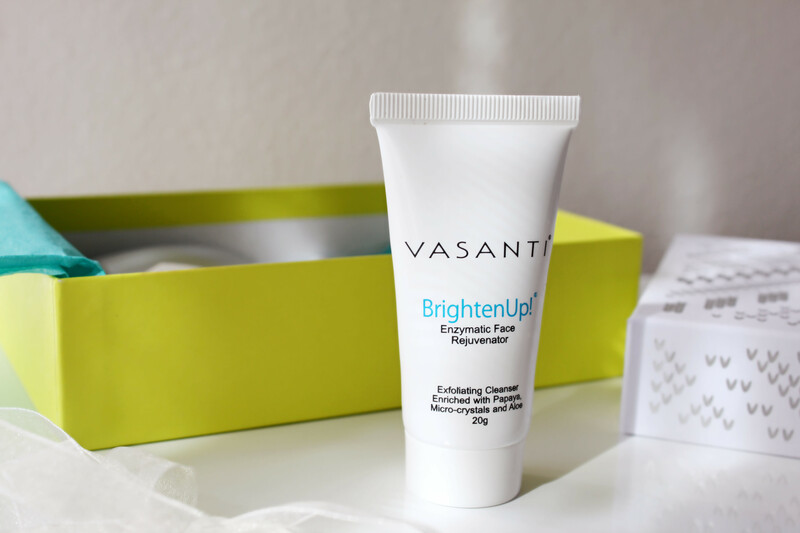 😉 I love how small this little tube is because it fits in my purse or clutch so well! Plus, the light green tea fragrance is so subtle yet fresh! 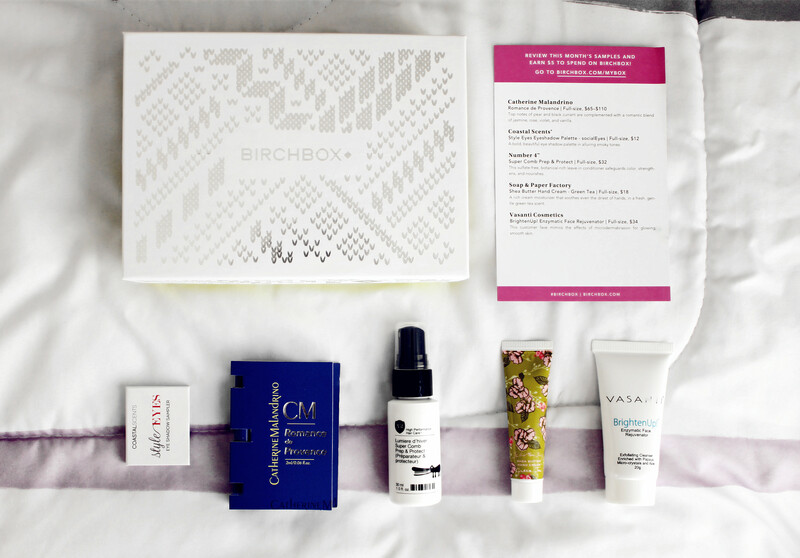 Have you ever heard of Birchbox? Do any of you have a Birchbox subscription as well, or are any of you subscribers of other similar lines of monthly subscriptions? Let me know in the comments! 🙂 I’d love to hear from all of you! Oh you got some pretty good products on your first box. Hope you like it so far! 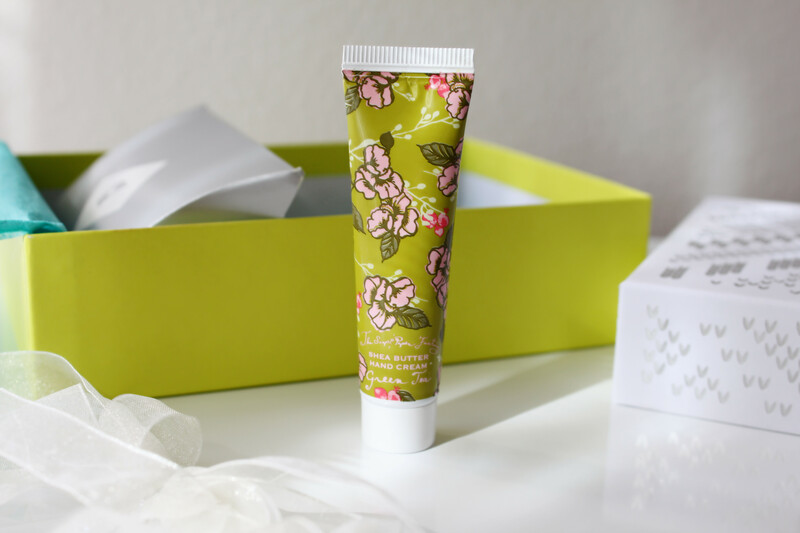 That green tea and shea butter hand cream looks insanely wonderful! I need to join the Birch Box train! Everything always looks so amazing! This is such a great way to try some nice, new products! Totally eyeing that hand cream! Yes, it definitely is 🙂 It really introduced me to so many different brands that I’ve never even heard of ❤ Thank you so much for stopping by Liz! yes, how time fly, i am old today more! The BirchBox is so interesting, isn’t it? 🙂 I love how they offer so many little samples to try ❤ Thank you so much for stopping by love! Looks like great products, wow! Bonjour from FRANCE, Sand. I haven’t tried it yet too, but I’m so excited to 🙂 Thank you so much for stopping by Lynne!